FESCO Direct offers concrete producers two real world proven control systems from Scale-Tron and JEL Concrete Plants. Both systems make accurate batching easy, and both are suitable for Ready Mix or precast concrete plants. Get more information, specifications and pricing by contacting us today. When you work with FESCO Direct, our equipment experts will review your current system and make a recommendation based on both your present and future needs. With over 55 years of collective experience in the concrete plant industry, we have the expertise to assist you in making the best choice for your operation. 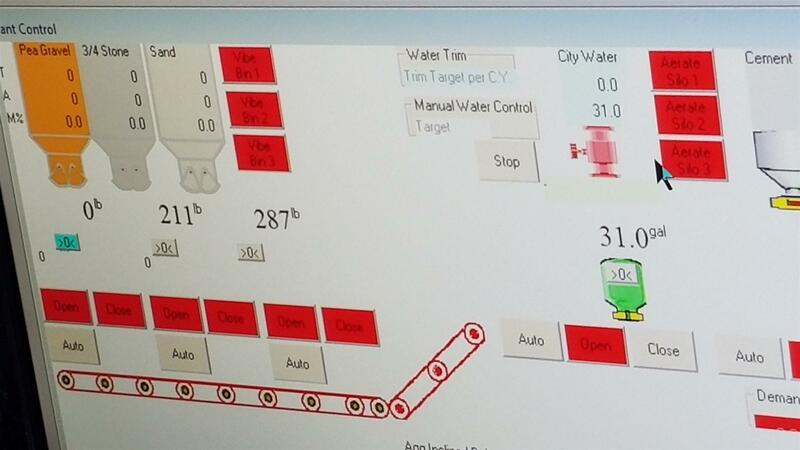 Automatic control system from Scale-Tron. The Batch-Tron control system features a visual and intuitive system with a reliable, easy-to-use touch screen interface and PLC based logic that avoids the problems and costs of maintaining a Windows PC-based system. 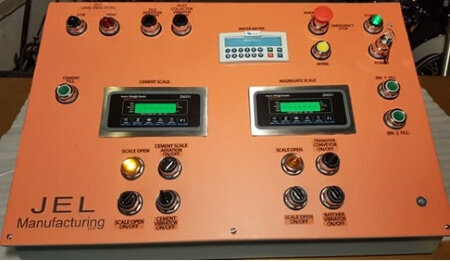 It’s a full-featured automation controller built to hold up in industrial environments. Manual controls for concrete batching from JEL Concrete Plants. This manual control system from JEL Concrete Plants is ideal for concrete producers who don’t need to print tickets and aren’t as concerned with production speed. Each function on your concrete plant can be operated by a switch or button without obstructing view of the built-in scale indicators. Easily customized to the specific functions of your concrete plant. Contact FESCO Direct now to request more information on control systems for your concrete plant.